SCBA resolves to remove Justice Deepak Verma (Retd.) from acting as the Administrator of SCBA Multi State Cooperative Housing Society Ltd. The Supreme Court Bar Association Executive Committee has resolved unanimously to remove Justice Deepak Verma (Retd.) from acting as the Administrator of the SCBA Multi State Cooperative Housing Society Ltd., assuming without admitting that there was any order appointing him as Administrator. It unanimously recalled and annulled the resolution dated 05.07.2013, purportedly taken by the Executive Committee in respect to appointment of Justice Deepak Verma (Retd.) as Administrator of Housing Society. 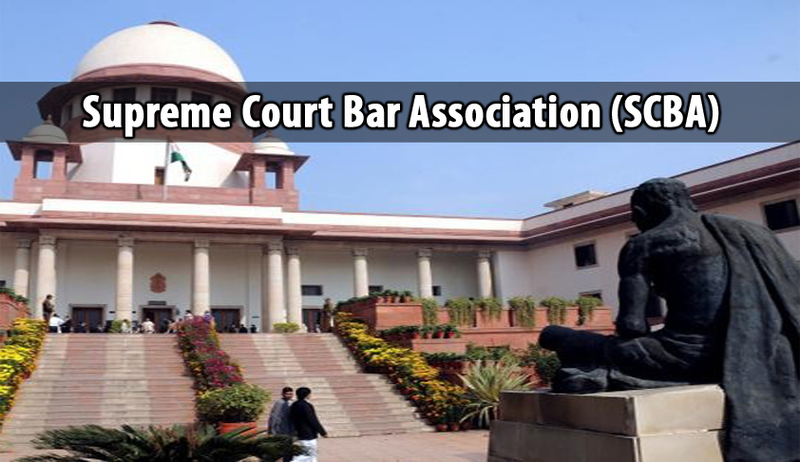 The Supreme Court, in its order dated 12th July, 2013 had noted that Justice Deepak Verma had given his consent to function as an administrator of the SCBA Multi State Cooperative Housing Society Ltd. It had directed the Executive Committee to pass consequential order for appointing Justice Verma as Administrator of the Society. Read the SC order here. However, no such order was passed by the executive committee, in compliance with the Supreme Court order. Therefore, SCBA noted that the functioning of Justice Deepak Verma (Retd.) as Administrator appears to have been without any express authority of the Supreme Court or for that matter, the Executive Committee of the SCBA. The committee noted that this has created “extraordinary situation” which could have “serious implications, legal and otherwise”. The Committee also took note of the fact that for the last two years while over Rs.75 crores have been expended by the Administrator, the accounts has never been finalized, raising serious doubt about the functioning of the Society. It reasoned that till today, the actual delivery of possession by the Administrator is neither in sight nor final costing, which will have to be borne by the Members, is available; statutory clearances are awaited, in some cases not even applied for. According to the Facebook post, the Executive Committee Members, the President, Secretary and Joint Treasurer made an attempt to interact with the Administrator and resolve such issued. However, it complains that there was no “finality, transparency and cooperation on most of issues”. The Committee has also been informed that Justice Deepak Verma (Retd.) had allotted two flats to unauthorized persons in the most questionable circumstances and that allotment, now in view of the mounting pressure, is purported to be cancelled. The Committee hence resolved to bar Justice Verma from acting as the Administrator of the society. The decision was directed to be communicated to Justice Verma as well as the CEO of the Housing Society and Bankers of the Society with a request to the CEO and Banks not to take any instructions from Justice Deepak Verma (Retd.) any longer or to act as per his directives any longer. The Supreme Court would also be informed of the same. Till the time of completion of the project, the Executive Committee authorizes the President, Vice President, the Secretary, Treasurer and the Joint Treasurer to take all necessary steps and take control of affairs of the Society, including account books, members list, etc. with immediate effect.